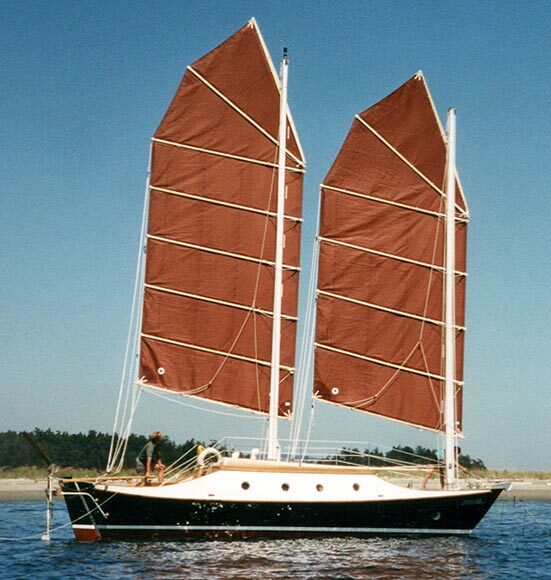 Jay Benford designed this 34'x11' sailing dory. 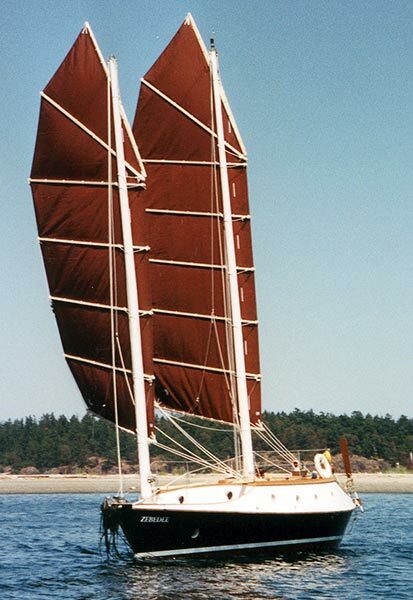 Hugh Campbell of Winard Wood Ltd, Sidney, British Columbia, Canada built it for Alan Martienssen of Newark, England. Launched in July 2000, it was named ZEBEDEE after a British Cartoon character. Alan plans to sail the boat from British Columbia to Great Britain going through the Panama Canal. Contact Hugh at winard@shaw.ca.